Boston : G.K. Hall, 1992. 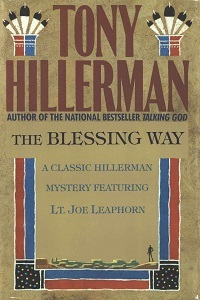 This is a hardcover, large print edition of The Blessing Way; the text is set in 18 point type. The full color dust jacket was designed by Peter Thorpe. Binding: Beige paper covered boards with beige cloth spine. Red embossing on spine includes title, author's name, and publisher's device.